In 1981, Maria Vedenyapina graduated from The Institute of Asia and Africa Countries of The Moscow State University named after M.V. Lomonosov, with specialization in History of Japan. After graduation from The Insitute, she worked in librarian institutions. From 1999, he work was associated with the Mega project “Pushkin Library”. 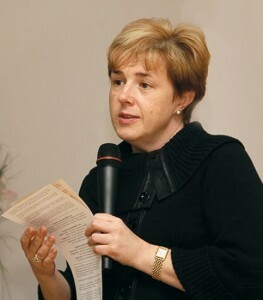 In April, 2012, Maria Vedenyapina was appointed to position of the Director of The Russian State Library for Children. She was awarded government and commemorative medals.